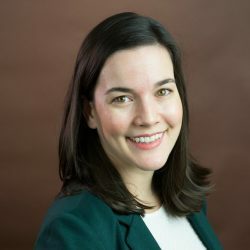 ​ Colleen Morrison has more than 9 years of experience in program evaluation and applied developmental research. Her areas of expertise include early childhood education and maternal and child health. Prior to joining JBA, Morrison was a research associate at the Center for Early Childhood Education and Intervention at the University of Maryland, College Park. She received a Ph.D. in human development and quantitative methodology from the University of Maryland.